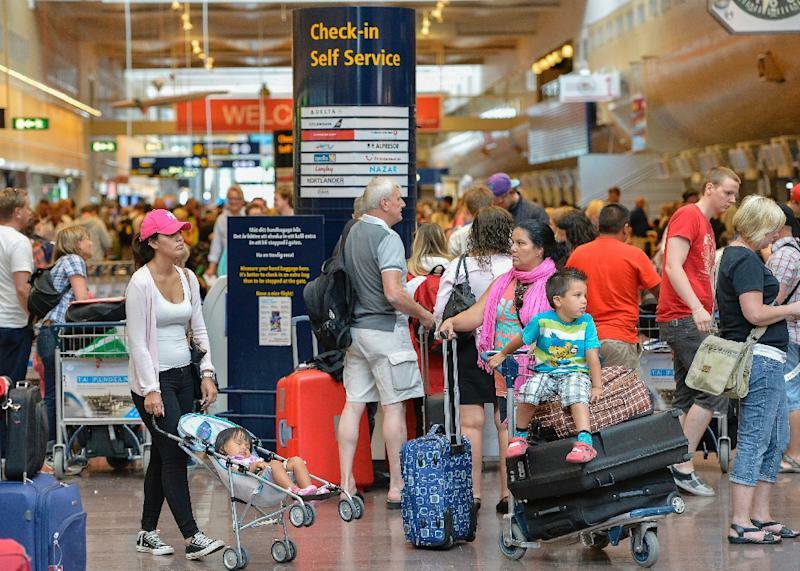 Stockholm (AFP) - A solar flare briefly disabled radar at Sweden's largest airports on Wednesday causing significant flight delays, the Civil Aviation Authority (LFV) said. "At 3:45 p.m. (2:45 p.m. GMT), solar storms had disrupted the Earth's magnetic field, causing radar malfunctions here in Sweden," said LFV spokesman Per Froberg. "We had to close the airspace," he added, which delayed airplane departures and landings at several airports. Traffic was delayed at Stockholm's two main aiports Arlanda and Bromma, as well as at Malmo and Gothenburg. Air traffic control was restored after about an hour. Solar flares project solar plasma, which consists of electrons, protons and alpha particles, at very high speed into space which can strike the Earth's outer atmosphere and disrupt its magnetic field. This phenomenon is responsible for the northern lights and also the kind of magnetic storms that can disrupt the operation of communications satellites.